This job is proof that you can’t match Everlast Services’ quality. 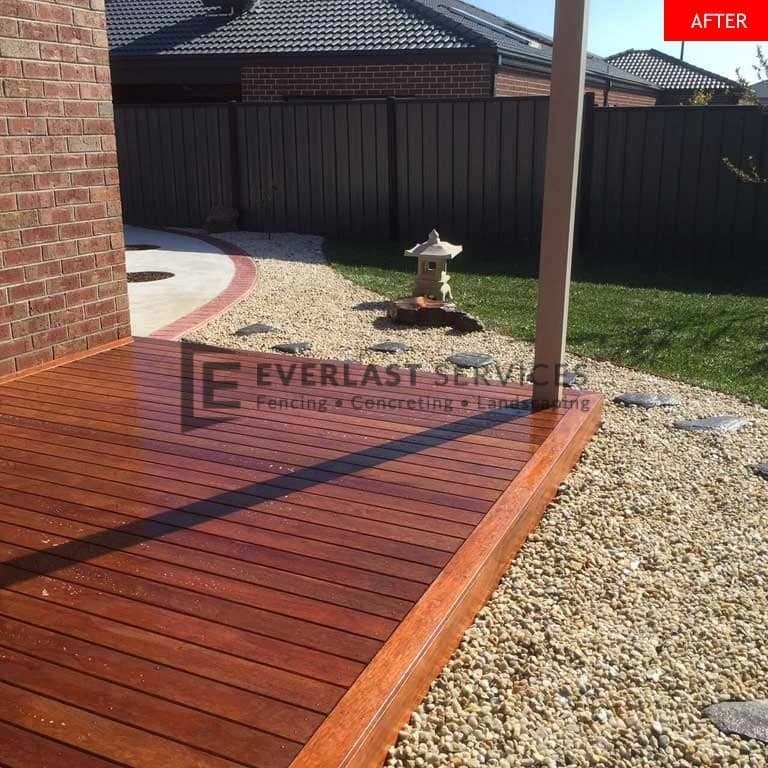 This customer has contacted us initially, but decided to go with another contractor with a lower price. 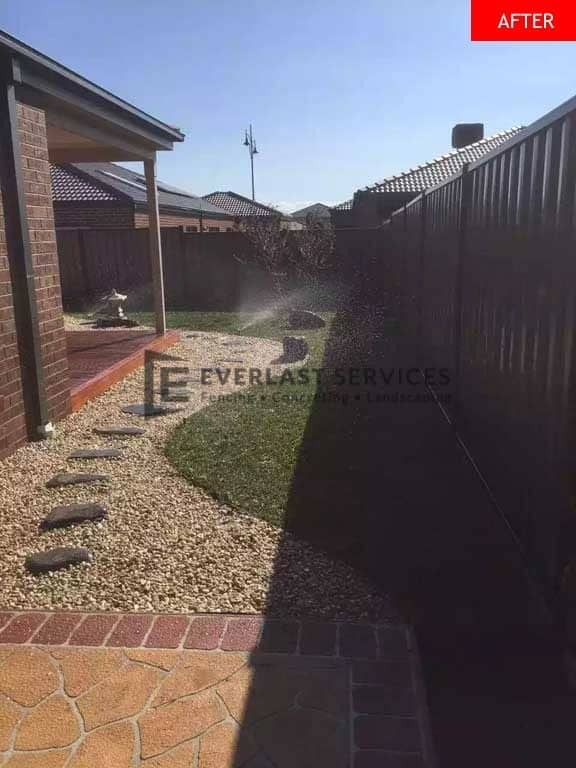 Everlast Services always offers to beat quotes cheaper than ours by 5% but we thought the price the customer had offered was far too good to be true. And we were right! 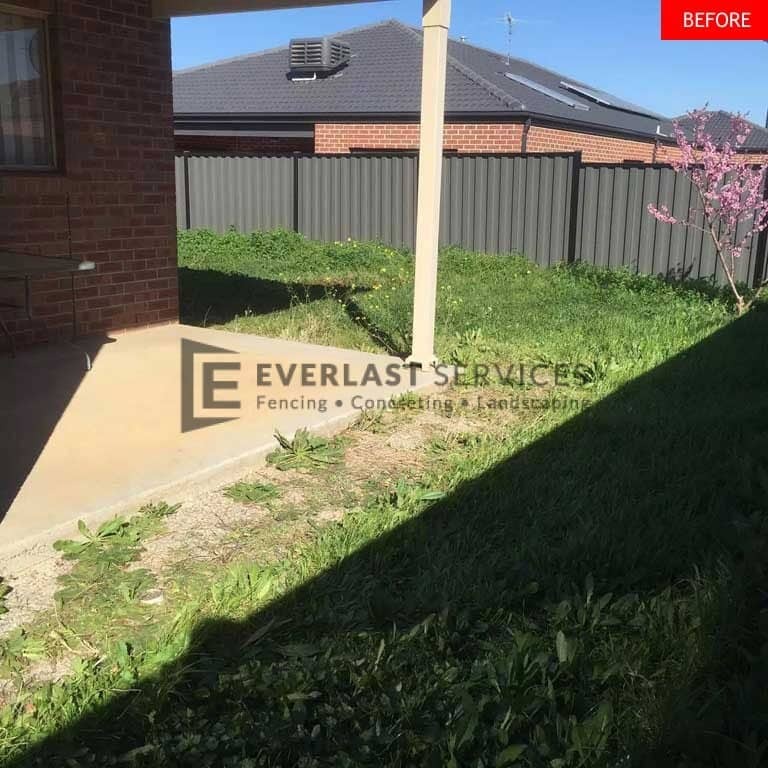 The customer contacted us and said the job has been a complete disaster and the landscaping contractor had actually left their front and backyard looking worse than it did before. 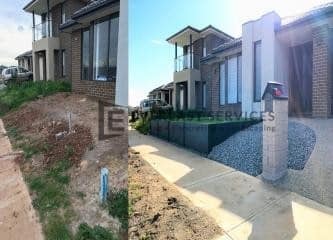 We were happy to meet the request of the customer and quickly set out about creating the front and backyard they had always wanted. 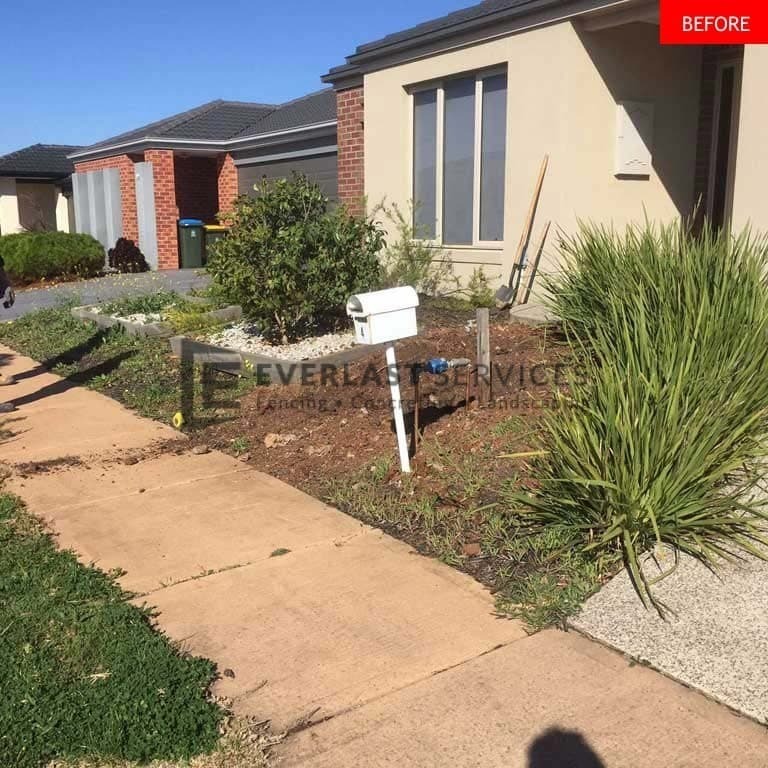 We started out by digging up the entire front yard, which had been turned into a messy garden bed with improperly planted plants and patchy weeds. We built a concrete brick garden bed and filled it with stone. 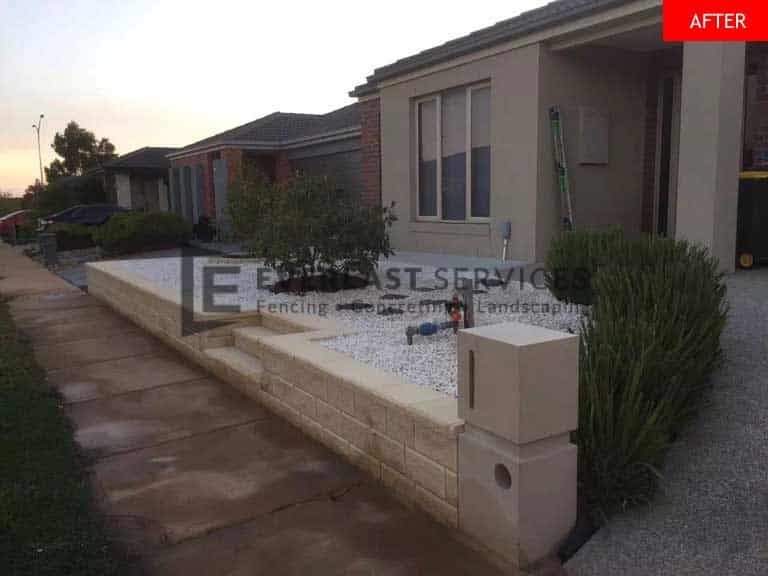 The customer wanted a restrained, neat look so we were very judicious in the selection of our plants, only opting to use two shrubs in the garden bed and a Yucca border that sweeps around the driveway. This has brightened up the front of the house and has made it look brand new, instead of dragging it down like the old, messy patch of dirt. 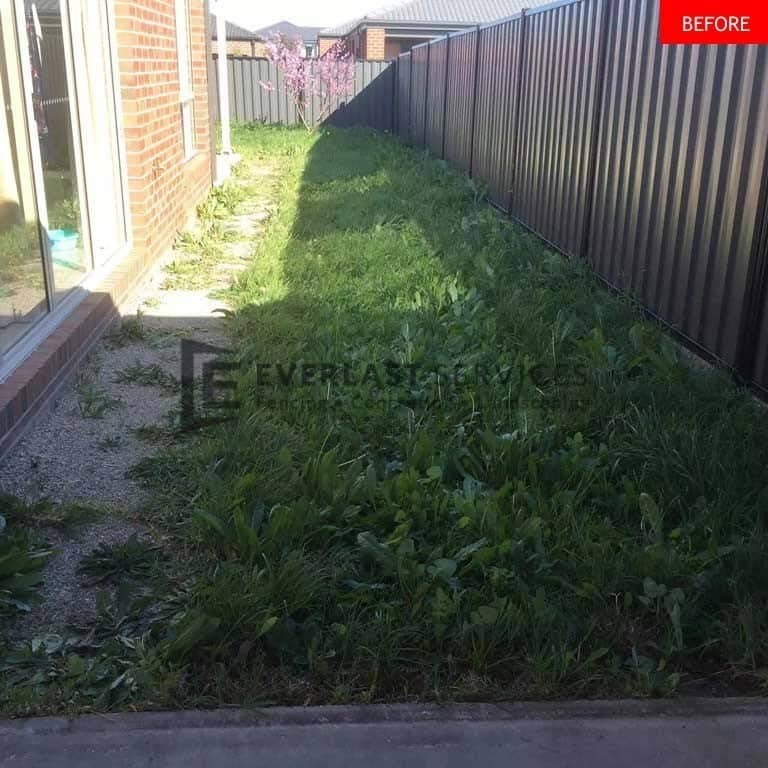 The original contractors turned the backyard into a tangled mess and didn’t even get as far as levelling the ground. 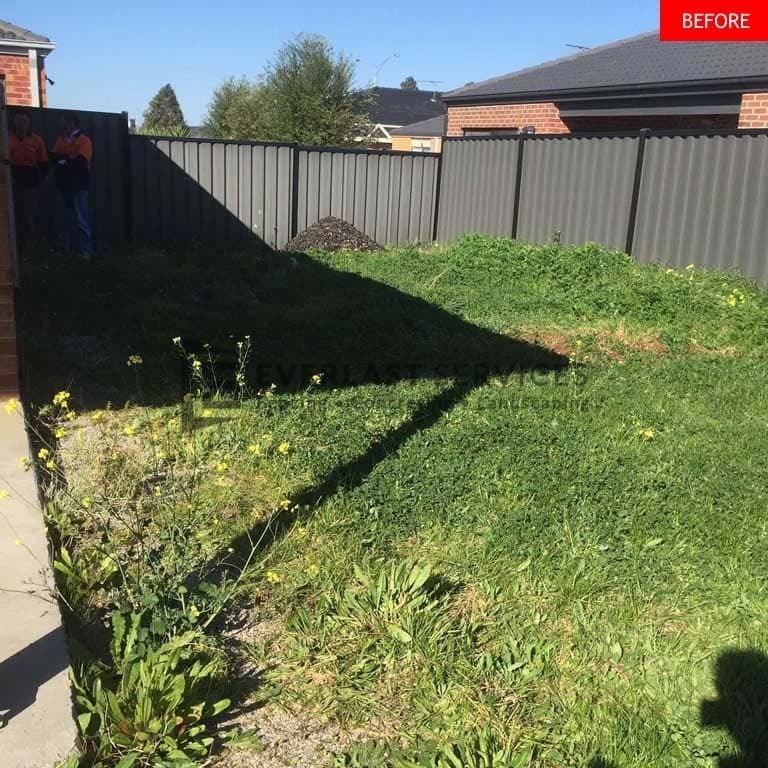 When we arrived there were piles of mulch and dirt everywhere and we knew the first thing we would have to do is dig up and level the entire backyard. The key to our success is never taking shortcuts and even though it added time onto the job we knew that we had to take the time to prepare the ground before we could do anything else. After the ground was levelled, we concreted one corner of it with plain concrete and a stenciled border. 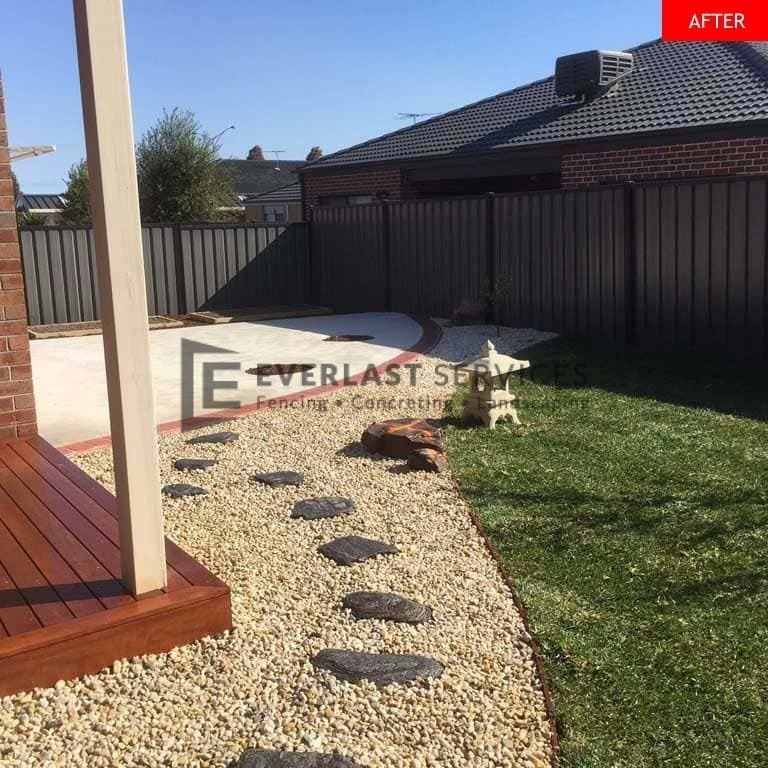 We teamed this with a pebble bed that separates the turf from the concrete to create a beautiful contrast. 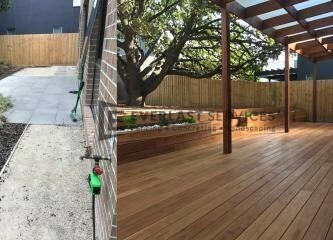 We concreted the side of the house, again using stenciling to create a slate look and topped it all off by replacing the concrete back-porch with a stained timber decked area that really stands out next to the deep green of the turn and crisp white of the concrete. 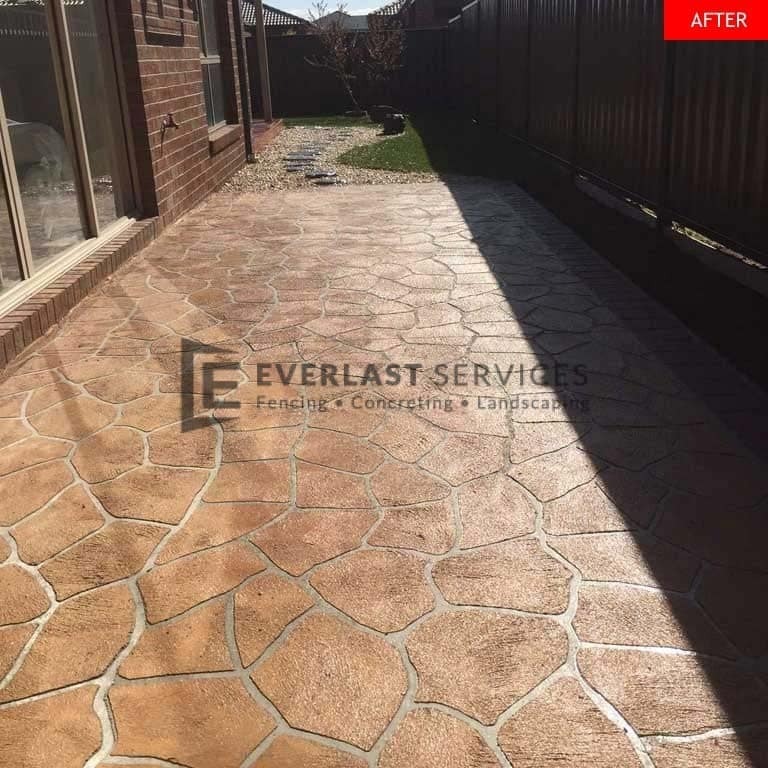 We were able to create a neat and fresh look for the back, front and side of the house and were able to finish the project on time and remain within our budget.